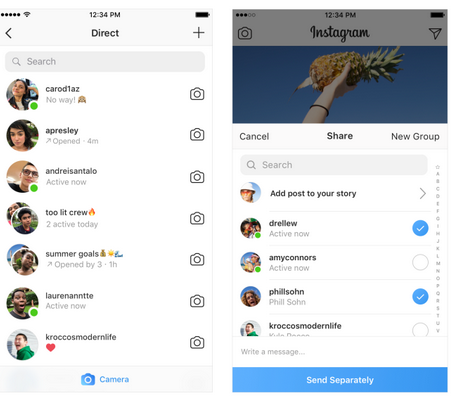 Instagram is rolling out a new feature that will show you when your friends are online and available to chat via DM. When your friends are active on Instagram, you’ll see a green dot next to their profile picture in various spaces within the app, including the Direct inbox and your friend list when you share a post from feed. You will only see status for friends who follow you or people who you have talked to in Direct. You can easily hide your own status and turn off the ability to see when your friends are active in your settings just like we have it on WhatsApp last seen. It’s cool for people who like it not me though. Another day, Another update from facebook owned app. It seems like we should be expecting updates from them every day. the updates are rolled out, the merrier! still not interested in instagram and their updates.